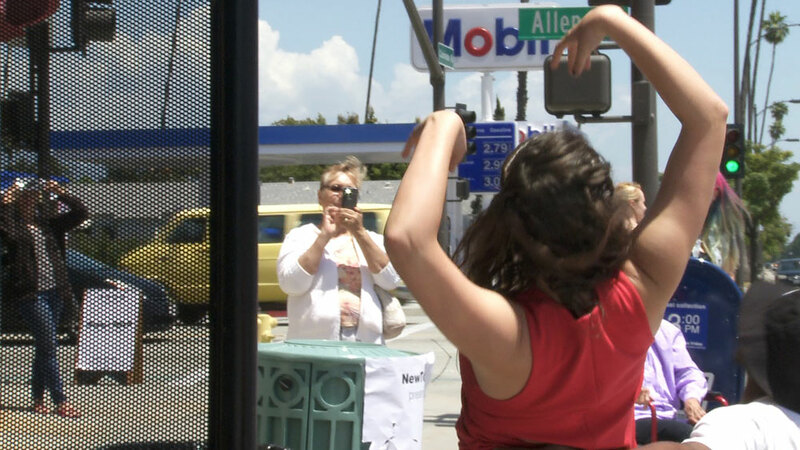 What: A dance performance with the bus shelter as stage. Where: behind, within and through the perforated screen of the bus shelters directly across from each other on Colorado and Allen in East Pasadena. Parking: Street parking on both Colorado and Allen. Please respect parking signs on residential streets. 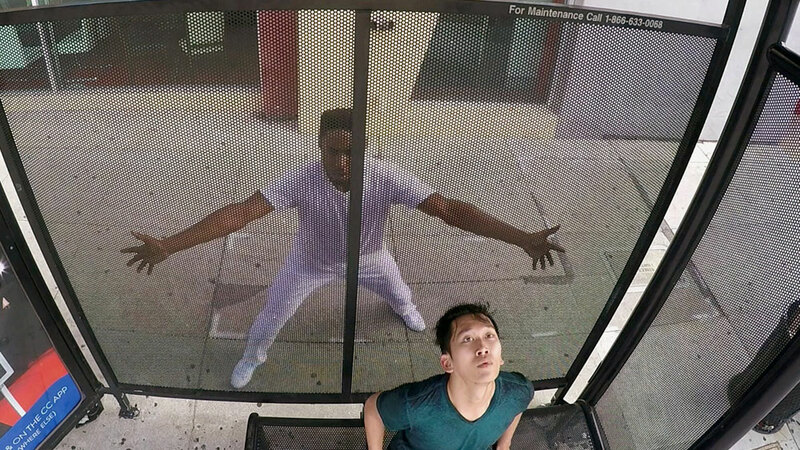 NewTown has commissioned 8 modern dancers from Lineage Dance to respond to the perforated metal stage of the bus shelters. The silhouetted forms will move through gravity and light as they negotiate hard metal, waiting riders and passing pedestrians, responding only to the sounds and scapes of the street. 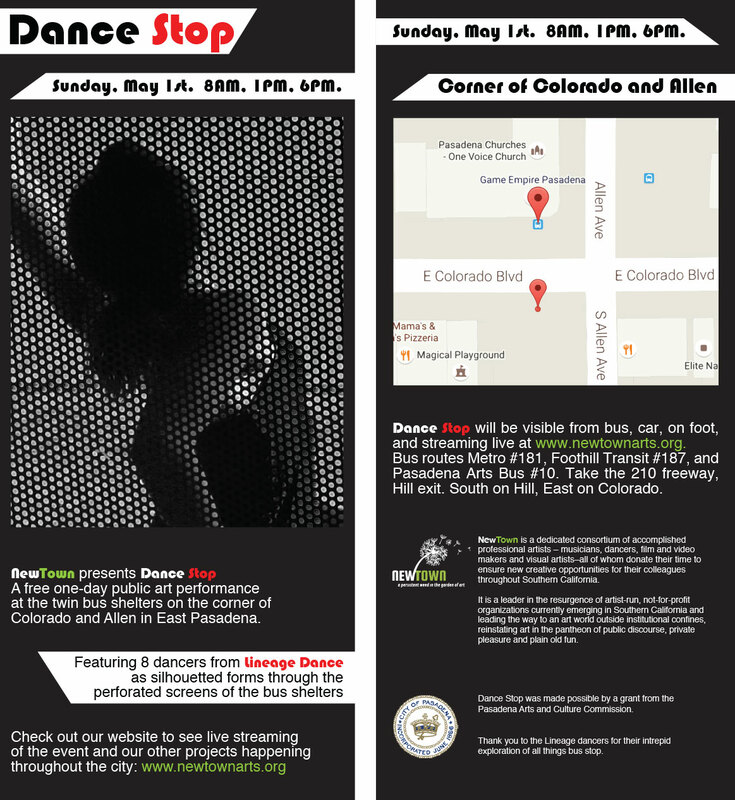 Dance STOP will be visible from bus, car, on foot, and streaming live here on our website. Bus routes Metro #181, Foothill Transit #187, and Pasadena ARTS Bus #10. Take the 210 freeway, Hill exit. South on Hill, East on Colorado. Dance STOP was made possible by a grant from the Pasadena Arts and Culture Commission. 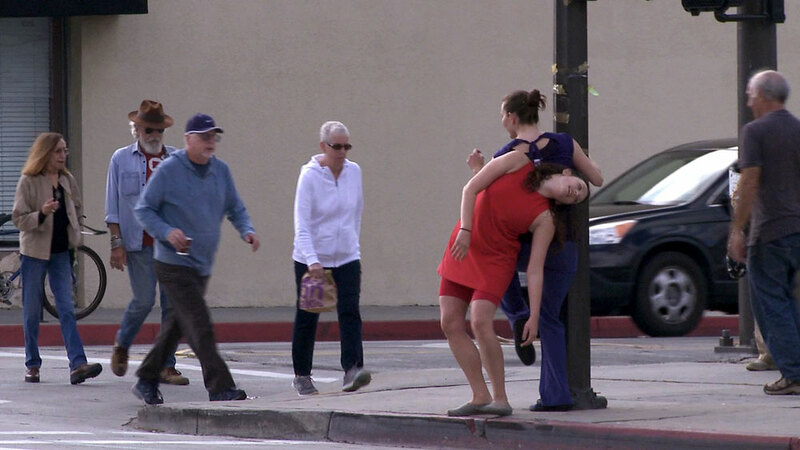 Thank you to the Lineage dancers for their intrepid exploration of all things bus stop.  NewTown is a dedicated consortium of accomplished professional artists – musicians dancers, film and video makers and visual artists – who donate their time to ensure new creative opportunities for other Southern California artists. NewTown seeks to bring audiences to new and unexpected art and art venues, contributing to an art world that exists outside institutional confines, and reinstating art in the pantheon of public discourse, private pleasure and plain old fun.